That aspect? Pennywise the Dancing Clown. 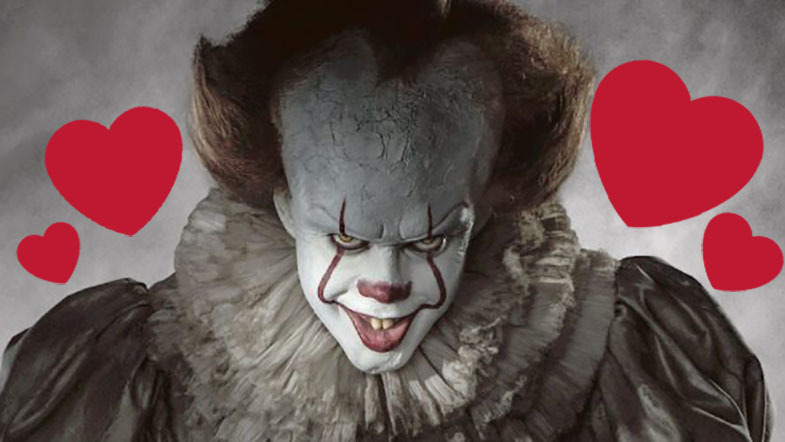 Okay, not actually Pennywise, but the actor who plays the most terrifying clown in all of film and literature. Bill Skarsgård, younger brother of actor Alexander Skarsgård, actually looks pretty good beneath all the make up. I don’t know what I expected. I guess I just hadn’t really given the actor behind the terrifying leer much thought at all. I had kind of just assumed they’d called up the Terrifying Child Killing Clown Association of America (TCKAA) and asked them to send their best TCKC in exchange for the souls of the children performing in the movie. Seriously looking forward to seeing him star in upcoming Hulu Stephen King adaptation Castle Rock!